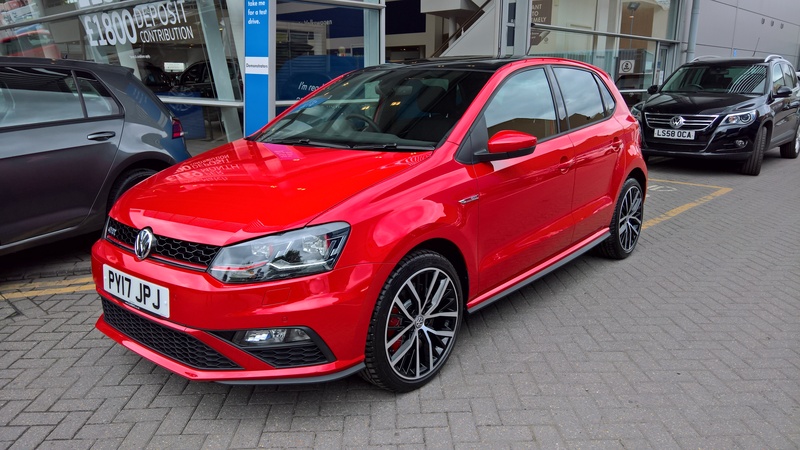 Picked up my new Volkswagon Polo GTI from Lookers Guildford as a replacement for the old Citigo runabout that needed to go back. Pleasantly surprised, though a little disappointed to find out the new Polo will be out in August…. The deal was too sweet to pass on, just slightly more expensive a month than the Citigo and massive dealer discount and then dealer contribution on top.